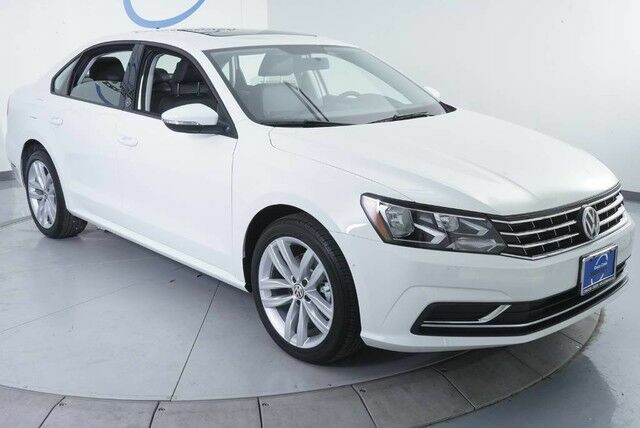 This 2019 Volkswagen Passat 2.0T Wolfsburg Edition is proudly offered by Onion Creek VW Why spend more money than you have to? This Volkswagen Passat will help you keep the extra money you'd normally spend on gas. The look is unmistakably Volkswagen, the smooth contours and cutting-edge technology of this Volkswagen Passat 2.0T Wolfsburg Edition will definitely turn heads. There is no reason why you shouldn't buy this Volkswagen Passat 2.0T Wolfsburg Edition. It is incomparable for the price and quality. The Volkswagen Passat 2.0T Wolfsburg Edition will provide you with everything you have always wanted in a car -- Quality, Reliability, and Character. Welcome to Onion Creek Volkswagen, your Central and South Texas Volkswagen dealer serving Georgetown, Round Rock, Austin and San Marcos. We strive to provide our Onion Creek Volkswagen customers the most modern and convenient access to useful information and satisfying service. Our south Austin and Westlake VW clients have high expectations for their vehicles, and equally high expectations about the dealership professionals who serve them. Volkswagen is widely recognized to be among the best in quality, reliability, and value, just as Volkswagen dealers are known for their award-winning commitment to customer satisfaction in both sales and service . When youre ready to see what our Sweet Onion Deals are all about, come on by to see our inventory , explore a VW lease, or take a test drive .